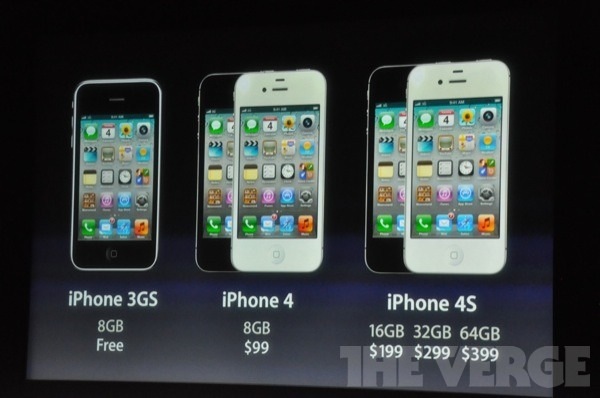 You saw the iPhone 4S specs, the release date is soon with pre-orders already under way. The device will be offered on a variety of carriers, in the US this includes AT&T, Verizon, and newcomer Sprint. But what is it going to cost you? The unlocked iPhone only works on GSM networks with a micro-SIM card. And no, there is no iPhone 5… yet! Thanks to the Verge Liveblog for capturing the pictures from the Apple media event. I think I said the stock would tank without Jobs and iPhone 5. Now down more than 5%. You sir…are dumb. The entire market has been going down. You sirs…should all calm the hell down. There are more important things in the world to be indignant about. You sirs, should C-C-C-C-COMBO BREAKER!!!! Down? What are you talking about? I’ve been making a killing! You sirs even no homo.All i gotta say to you all is WAT???????????? Any word on whether the 4S will be available unlocked without a contract (at a higher price, obviously)? Yes but we aren’t sure on pricing yet, we’ll update when we know. 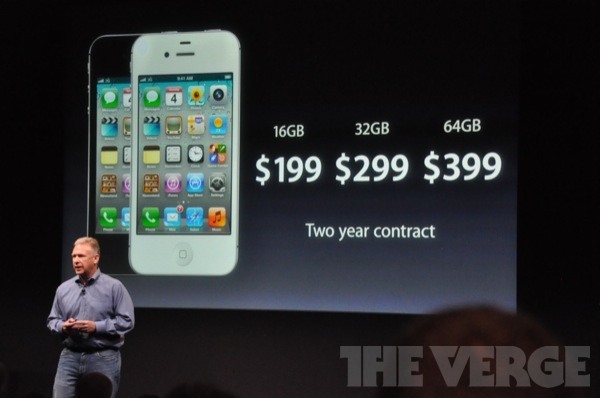 The lower prices listed here are for carrier subsidies, without a contract the iPhone costs a lot more. Yeah, but even without a contract, the maximum price is 849 dollars. im looking forward until 28 oktober when iphone 4s comes to denmark. does anyone now when siri comes in other languages? i wanna know what is the different between the contract i phone and the unlocked …. and why is there a very huge diffrince in the price and dose the contracted i phone works on all sim’s even the once in isreal ? I want to know if you can get an iphone4 without contract and choice simple mobile as a plan? and how much the prices going to be? A written agreement between the buyer and apple is called a contract in this case..hehe. If i buy i phone 4s(locked) in USA .After i can unlocked in Nepal or not. what is the difference between unlocked & locked?,what is the difference between i phone 4s 16gb & 32gb and which one can work efficiently in NIGERIA and how can i buy one & how much? if i am going to buy an unlocked phone, wher is the point of getting it here n unlocking again.. when i can jailbreak and unlock iphone y should i buy an unlocked phone..? Go to an Apple Store and ask to buy an UNLOCKED IPHONE, it is going to cost you at least $499 for iPhone 4 and $649 for iPhone 4S. rahul. if u want apple 4s for your personal use .u can buy from usa and in india u can unlock it as there are many shops witch unlock apple cells . Am in Kampala, Uganda how can i get one of those pieces? I want to purchase iPhone 4s 32GB from USA how to proceed?